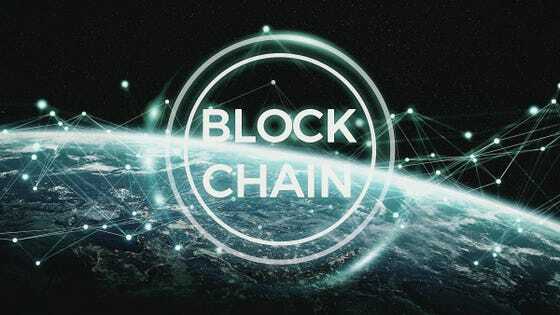 HomeBlockchainAre Industries, Governments and UN Agencies Ready For 5th Machine Age Blockchain Adoption? Spotlight news garnering wide interest from this year include from JP Morgan, their announcement of a successful test of a digital coin representing a fiat (example USD) currency – JPM Coin — blockchain-based technology enabling the instantaneous transfer of payments between institutional accounts. This matters since it’s estimated that JP Morgan influences $6 Trillion US in daily transactions. Another example includes Master Card with an estimated 81 patents in blockchain and ranked amongst the top in blockchain. All major vendors such as Microsoft and IBM have blockchain platforms and/or tools together with consortia including: R3 (example use, financial services), Hyperledger (example use, supply chain), BiTA (example use, transportation logistics and freight), B3i (example use, insurance). Blockchain (and distributed ledger) is the underlying technologies behind cryptocurrencies but evolving way beyond. From the WEF Future of Jobs report, by 2022, adoption forecasts include across 12 industries at 45% however differing widely such as financial services at 73%, healthcare at 67%, infrastructure at 18%. This became a focused area of discussion at the World Food Program (WFP) hosted session in March at SXSW “Around the (Global) Block – Blockchain for Impact.” What was intriguing were the discussions on the interplay of Blockchain with AI (artificial intelligence) since both involve data and driving value from working with data. Clearly, AI will be integrated with use cases of Blockchain. – Are there meaningful examples of how blockchain can best be leveraged for social impact? – Are we pushing to adopt blockchain because of the hype or is it real? – What are the key limitations to scaling-up blockchain projects? What are examples of overcoming these barriers? – What role do/should governments play in investing in promising ideas and technologies? How can policy initiatives ensure impact? – How important is moving to ‘user-centric’ data management in the impact space? – What (under-served) sectors or regions do you think a blockchain application could have the greatest impact? – How does blockchain align with other disruptive technologies like IoT and AI/ML? The UN World Food Program’s (WFP) Building Blocks pilot is using blockchain at refugee camps throughout Jordan where via blockchain, refugees receive food vouchers for grocery stores by simply looking at an iris scanner that reads refugees’ biometric data. 821 million, or one out of every nine people, still do not have enough to eat. WFP’s Innovation Accelerator was created in 2015 to identify new ideas and approaches for global solutions. Areas in active exploration and real-world implementation include: machine learning, artiﬁcial intelligence and blockchain. In 2018, the WFP supported 28 sprint and scale projects in 42 countries. Building Blocks was the ﬁrst implementation of blockchain at WFP and comprise the largest blockchain-based cash-distribution system in the humanitarian sector. Over 380 farmer organizations digitalized their business operations and conducted US$ 3 million worth of transactions with the Farm to Market Alliance platform. Over 6,000 beneﬁciaries were reached in seven countries with the WFP hydroponics technology. In 2018, Building Blocks: served over 107,000 refugees; transferred US$ 37 million in cash-based assistance; processed more than 1.6 million transactions; saved 98% in ﬁnancial transaction fees. The blockchain system improves WFP’s services’ transparency, efficiency, security, and speed. In addition, the underlying architecture of Building Blocks can also be applied to other blockchain use cases, such as supply chain management and digital identity. In 2018, the Innovation Accelerator supported several projects such as RUDA, an Artiﬁcial Intelligence and Aerial Imagery platform for rapid data analysis in emergencies. Added examples include the Child Growth Monitor – a mobile application for better malnutrition detection using 3D cameras and AI; and Cloud2Street – providing high-resolution ﬂood mapping and monitoring system. During the SXSW session, other notable examples included the successful launch of “bond-I” from the World Bank. – Work in the Rockefeller Foundation and jurisdictions around the world to develop modular, interoperable, open source blockchain platforms to power the public sector. Recent examples include their successful blockchain-based mobile voting project in the November elections in West Virginia and the blockchain land registry in the Republic of Georgia. – The Blueprint for Blockchain and Social Innovation that they published at Davos. – Their projects with the State Department, Harvard, Levi Strauss, Coca-Cola … to use blockchain in worker rights and wellbeing applications.